We offer the wide range of Sugar Plant Civil and Structural Design Works to our client. 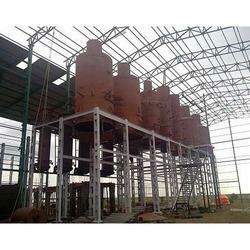 We specialize in providing efficient Sugar Plant Civil and Structural Design Works. These services are provided with the use of latest technology and modern machines. Moreover, our highly proficient team of professionals help us to undertake the services as per the varied demands of our clients. Offered at competitive prices, these offshore delivery models successfully justify most the critical and cumbersome structural steel design demands in composite structural analysis projects within a short time span.